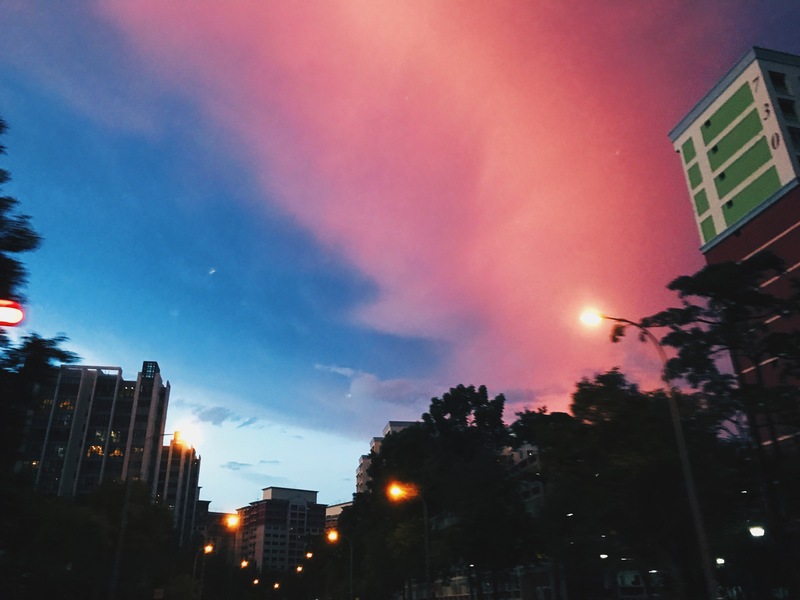 Pink sky are absolutely stunning. I can’t take my eyes off the beautiful sky. Today’s post is a little random since I just wanna casually update about my life. Today has got to be the best date ever. 07/07/17 my favorite number, “7”. Had a job interview earlier this morning, travelled from east to west and it ended quite well since I landed the job and will be starting next Monday. Somehow I’m very excited yet scared because I really want to do well and I can only hope for the best. Next, I’m having my exam on the coming 11th. Probably should get back to studying.